Gilded Age Greetings Handmade Greeting Cards. 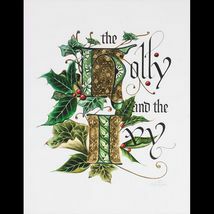 Gilded Age Greetings, purveyors of handmade greeting cards and custom holiday cards for all occasions. Our team of artisans, hand craft the world's most beautiful handmade greeting cards. Each card in the collection is a true work of art. Our Signature series features hand made greeting cards, including custom birthday cards, handmade anniversary cards, handmade graduation cards and handmade wedding cards. Each custom handmade greeting card is finished with the finest materials including 23k gold, many with precious and semi precious stones. Our Couture handmade greeting card line is made to order, true to the tradition of couture. Each of these cards, is a masterwork of design and detail, a fabulous and luxurious gift of taste and refinement. Gilded Age Greetings hand made greeting cards will be a cherished heirloom for generations. Custom Christmas cards, handmade greeting cards, custom anniversary cards or graduation cards are our specialty. Our artisans also design handmade graduation cards and handmade Christmas cards.